Almost everyone loves tortilla chips with salsa, but getting gluten-free tortilla chips can be a challenge. Why not make your own? Start with gluten-free brown rice tortillas from Food for Life. These taste great and provide the gluten-free benefits you are looking for. Apply both sides of the tortillas with canola oil. Check ingredients to verify no gluten. Layer the tortillas and cut across, like a pizza, to get 6 to 8 triangles. Separate and lay out tortilla pieces individually on one or two baking sheets and season with salt and any other herbs you may wish to add. Bake at 350 degrees F for about 10 - 15 minutes rotating the baking sheet once. Chips should be golden brown at end of cooking time. Serve the chips with salsa, hummus, or whatever you like with them. Enjoy. 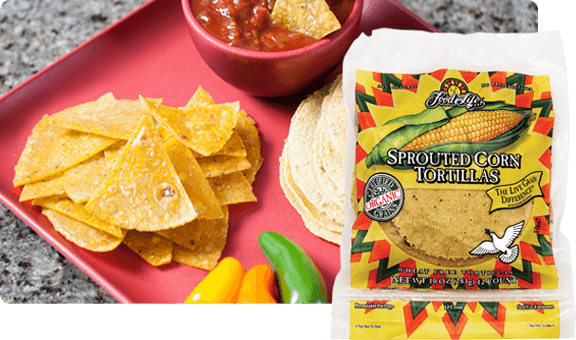 In addition to the brown rice gluten-free tortillas from Food for Life, you may also want to try the sprouted corn tortillas. These are also great for making corn tortilla chips, and don't contain any ingredients that contain gluten. Another great choice for making tortilla chips is the exotic black rice tortillas from Food for Life. 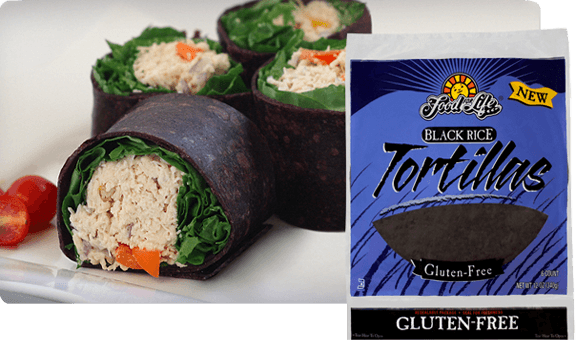 If you want to try something a little different, take a look at the black rice tortillas for your next batch of tortilla chips. Food for Life has been making healthy sprouted grain and Ezekiel breads since 1964. From the varieties of breads, tortillas, pastas, English muffins, and cereals come the desire to bring the very best foods for a healthy life. Try all the Food for Life products and enjoy a healthier way to live. 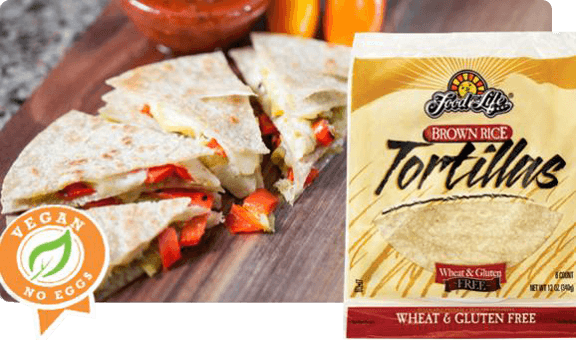 Get started today by creating some tasty homemade gluten-free tortilla chips using the Food for Life brown rice gluten-free tortillas or the sprouted grain corn tortillas. For something really out of the ordinary make tortilla chips with the exotic black rice tortillas. Creating homemade tortilla chips with any of these Food for Life tortillas will give you a great treat for the party or just on your own.